You’ll find this page a great help if you’re looking for a company that can design, print and install window graphics, or if you’re searching for information on the subject because you’re thinking of using applied graphics on windows to promote something, to enhance your security or privacy, or just to add a decorative effect or manifestation to your glazing. Contact us if you’ve got any questions or a project that you’d like to tick as done. Call Voodoo Now if you’d like to discuss your project or Email us and we’ll get in touch at a time that suits you. 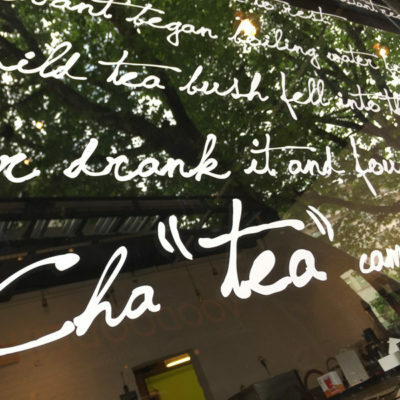 Q: What are window graphics? 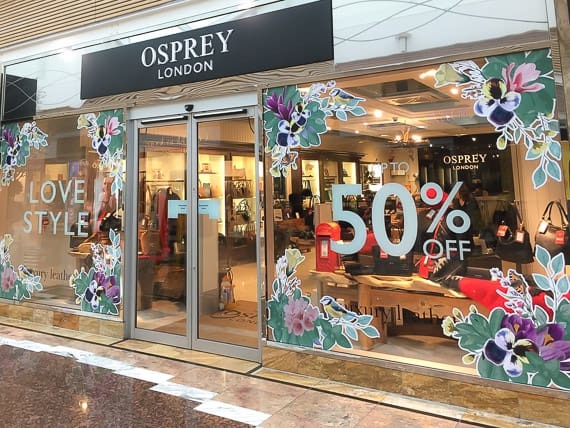 A: Window Graphics are, broadly speaking, a class of graphic markings that are applied to glazed surfaces – they have some great applications that we understand well at Voodoo and that our customers value. Windows are part of the manmade environment around us. They’re everywhere. The main reasons windows are there at all is to admit light to interiors, to provide a view to the outside from the interior, and to keep the weather out so maintaining a comfortable environment within. A shop window invites a view to the shop’s interior and helps display what the shops wants to sell. 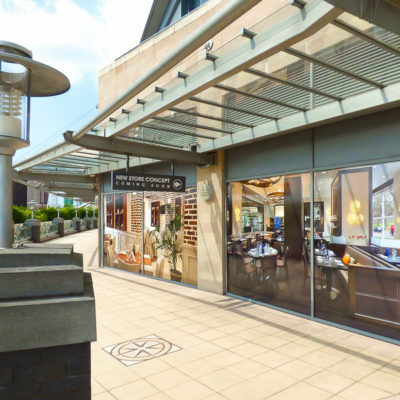 A restaurant window may provide a spectacular view to the outside for diners for example. 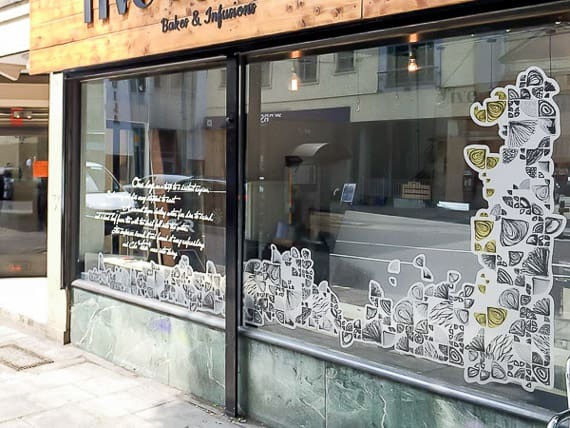 Either can benefit from window décor or advertising graphics applied to glazing though. 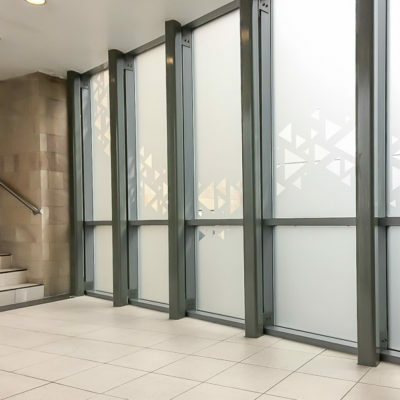 Etch effect window graphics simulate the appearance of markings that are physically etched by chemicals or by abrasives into window panes and are very popular. Voodoo designs such markings for all kinds of businesses, for schools and for public buildings. 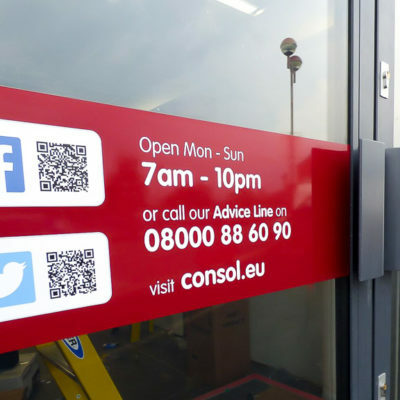 The markings are applied using a special film with an invisible pressure sensitive adhesive and so can be removed if needed without damaging the window. 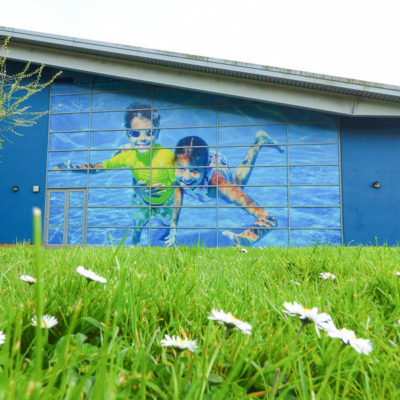 Printed etch effect films build on the basic effect that can be achieved with the film in its plain state and add images and detail or a blush of colour or attractive patterns within the design. Practically any effect is possible so bring Voodoo your window graphics ideas and we’ll find a way of making them and installing them. They look neutral when applied to low-iron glass and readily assume the tint if the glass has a body-colour. 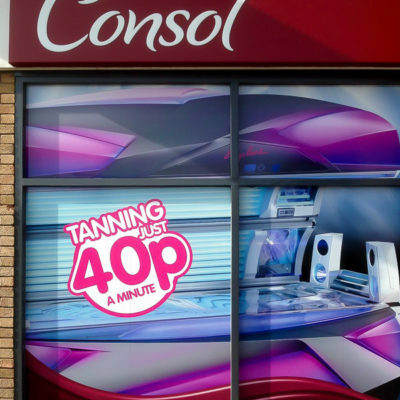 Printed window graphics on various types of film bring the impact of full colour images to windows. 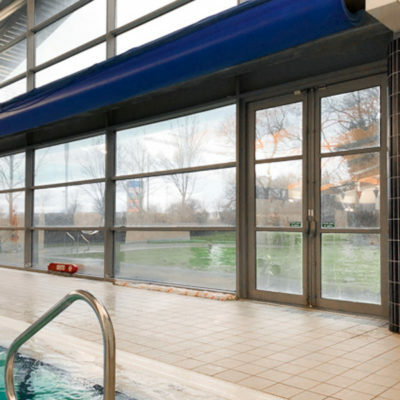 We have access to specialist materials from Contra Vision that can display an image on one side of your window or glazed partitions, and yet maintain a view through from the other side. Seen and seen through – how about that? Using this window graphics technology, you can put graphics on practically any window or glazed pane. 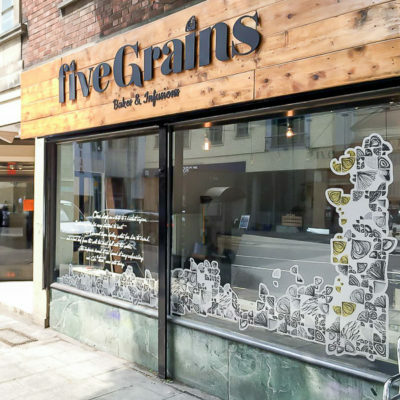 If you have vacant retail premises that you’d like to look more a business in waiting, you may consider having applied graphics installed on the glazed shop front. 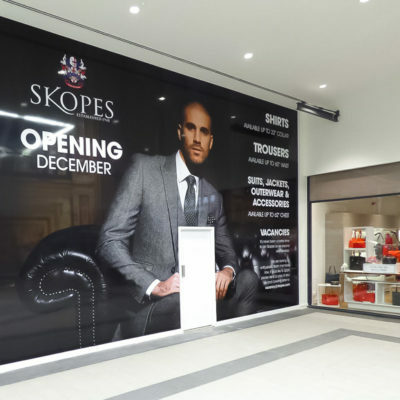 The graphics can depict an interior of a new business about to open, while obscuring the view of shop fitting activity behind it. 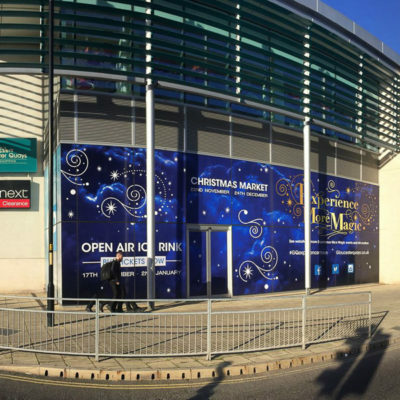 It’s a potent way to use window graphics for advertising and makes a vacant shop front into a retail hoarding. Here at Voodoo we’re specialists in window graphics. 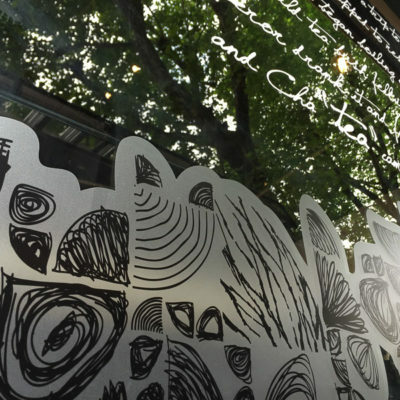 We can project live digital content onto windows that stops passers by in their tracks. We can turn windows into interactive surfaces for use in experiential events. We can make your windows do more than they were ever designed for, or that you ever imagined possible. We’d love to show you, so do call for more information. 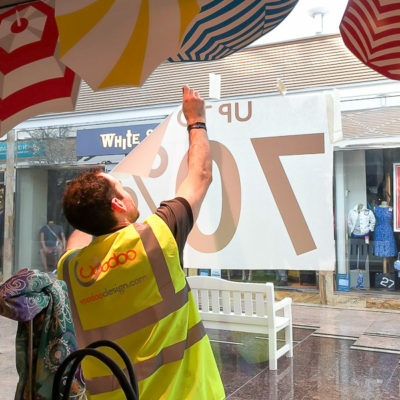 Q: How are window graphics made? 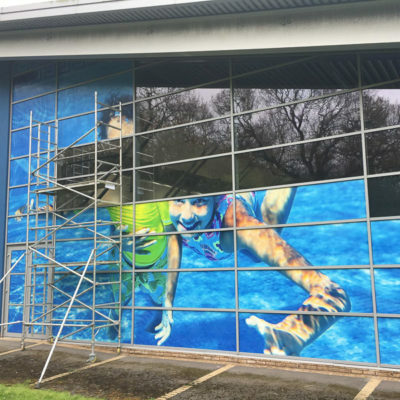 A: We make window graphics and manifestation markings for large expanses of glazing using a variety of materials, means and methods. Graphics may be adhered to either the interior or exterior of the pane, or hung from a window frame and tensioned with the span of its mullions. 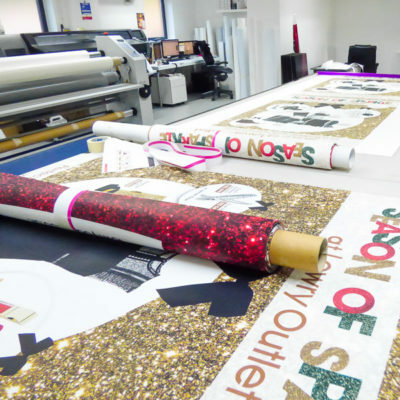 We can install either printed self-adhesive graphics or cut and applied shapes in a variety of materials. 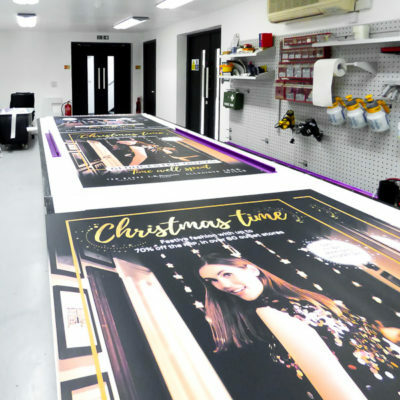 Printed graphics will be laminated with a crystal clear protective layer so as to prolong their useful life on the glass surface. In all cases, we can first produce a visual impression to demonstrate what the design looks like. We think you’ll like what you see – and just imagine the effect it’ll have on others who get to see it for real.